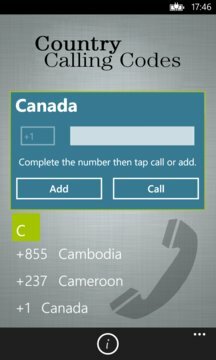 - Added the ability to either add contacts or call a number from within the application using the selected country's dialing code. Have you got a call and do not know where it is from? 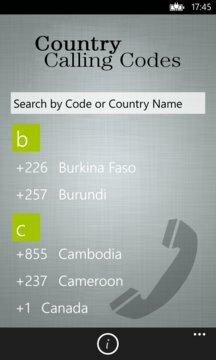 With Country Calling Codes, you can easily search for the code of the call you received.